A University of Oregon honor previously bestowed on a former U.S. senator, students interned during World War II and others is being revived to recognize new generations of citizens who have made important contributions to society. 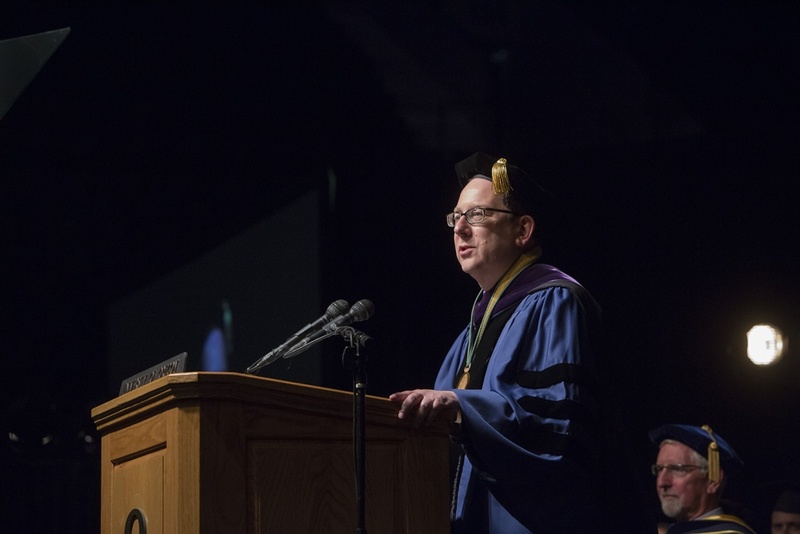 It has been almost 10 years since the UO last awarded an honorary degree, but President Michael Schill is announcing his intention to return to the practice. An honorary degree is one of the highest honors the university can bestow. An honorary degree acknowledges those who have made tremendous positive contributions to society through outstanding scholarship, artistic achievement or extraordinary public service. The university has granted honorary degrees to only 23 people in its history. Past recipients include Mark Hatfield, a U.S. senator for 30 years and Oregon’s 29th governor; Marian Wright Edelman, a renowned activist who was the founder and president of the Children’s Defense Fund; and 19 people who were students in 1942 when Executive Order 9066 ordered their forced relocation to Japanese internment camps. The students received the honor in 2008, making it the last time such a degree was awarded. Schill is asking campus and community members to think about individuals who may fit honorary degree criteria and consider submitting a nomination. A committee will review all of the nominations and make recommendations to the University Senate, which in turn makes a recommendation to the university president. The president may then forward up to two nominees each academic year to the Board of Trustees of the University of Oregon for final consideration. Additional information and the criteria for nominations is available on a website dedicated to honorary degrees.